Native to Oregon, California, and northern Mexico, this aromatic herb is a sticky evergreen shrub, growing to eight feet. Its narrow, lance-shaped leaves are shiny green on the upper side and hairy white underneath. It also produces clusters of trumpet-shaped white, blue or lavender flowers that grow at the top of the plant. The fruit produced is a small, oval, grayish-brown seed capsule containing shriveled black seeds. The bush flourishes on dry, mountain slopes at altitudes up to 4,000 feet. The name, Yerba Santa, is Spanish for “holy weed,” which was given to the plant by Spanish colonists. 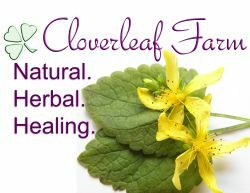 They learned of its medicinal value from Native Americans, who used it to treat coughs, colds, sore throats, mucus, and asthma. Many tribes dried and smoked the leaves as a treatment for asthma and lung congestion. The Eclectic Medical Journal featured an article on the herb in 1875, and it was listed in the US Pharmacopoeia in 1894. This aromatic herb has a sweet taste, and is a valuable expectorant in treating tracheitis, bronchitis, asthma, and any similar respiratory ailment. It was used to treat coughs, colds, and such other respiratory conditions as fevers. Infusions were also used to ease fevers and the mashed leaves were applied as a poultice to treat sores.